Hey all! This is an oldie, but a goodie. Try this recipe – do it now. I posted this recipe for super clean protein pancakes right when I started this site. People LOVE them! Bonus that they’re extremely clean and tasty. I have these on the weekend usually when I want to spend some time in the kitchen with a coffee. It really doesn’t take that long, so they can actually be made during the week. Now I know everybody has their own version of protein pancakes. I came across this one years ago and I’ve stuck with it. The reason being that it’s really clean. Some recipes get carried away with oats, “clean” flours, even sweeteners… but I like it simple. I know exactly what’s in these and they leave me satisfied. They sometimes turn out a crepe-like texture which is fine by me. Consider this recipe a base – and add your own extras. Apples and cinnamon? Pumpkin puree? Go for it! Well that was short. Vacation is over, and all books are now listed for sale again! 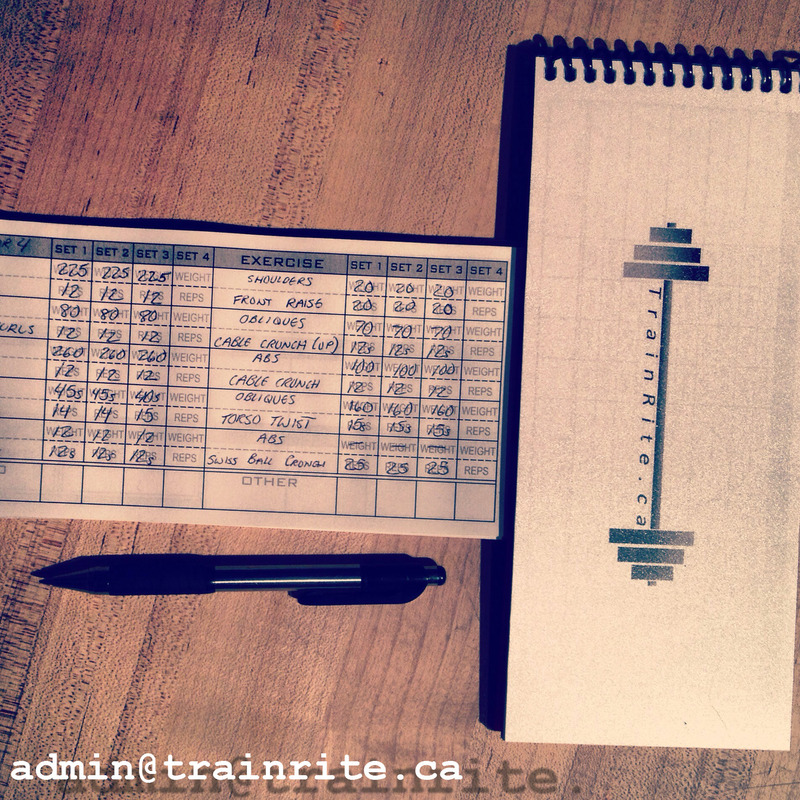 So here it is: the TrainRite Compact Fitness Journal – a truly collaborative effort from people like you. If you’re like me who constantly has a tight chest, you will FEEL this exercise – and feel it quickly. This is not an ego boosting, heavy-as-you-can-go movement: GO LIGHT to start. Trust me, you’ll feel it. I use this exercise before I do my regular sets of bench presses. 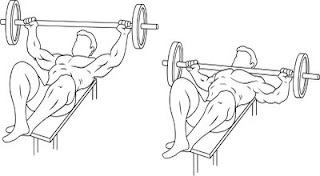 Take your basic bench press, but slide you body down low on the flat bench to allow you to lower the bar over your neck, rather than your chest. Bring the bar down slow, just until it touches your neck, pause, and bring the bar back up to your starting position. Now tell me you don’t feel that? You won’t be able to lift the same weight after the Neck Press x Pushups, but still try to safely lift heavy sets to finish the workout. 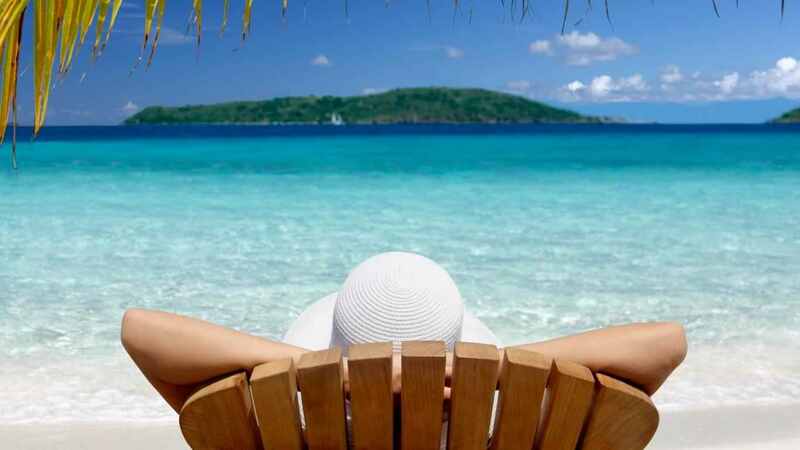 Keep your rest times short as you can.